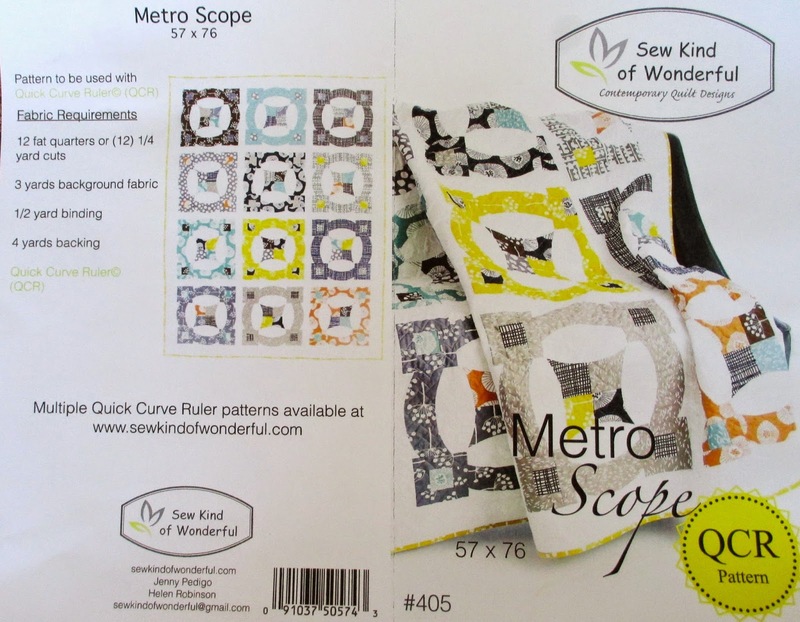 So after I made my Metro Scope block, and had it on my design wall for a day, I decided I wasn't in the mood for a Metro Scope quilt. I like the block, the construction was easy, but everyone else is doing circles, so I decided to try some circles too. So I'm switching to Metro Lattice! But I'm sticking with Persimmon by Basic Grey for Moda. The first order of business, piecing and trimming120 half square triangles, my favorite pastime! Enjoy your weekend, by Monday I maybe will have made another block and moved on to a third pattern! So I've started making my Metro Scope. So far so good. Right off I'm changing my version up a little. I'm going through a square quilt phase and if I add one more row of blocks I"ll get a quilt that finishes at 76" x 76", my favorite and perfect size. 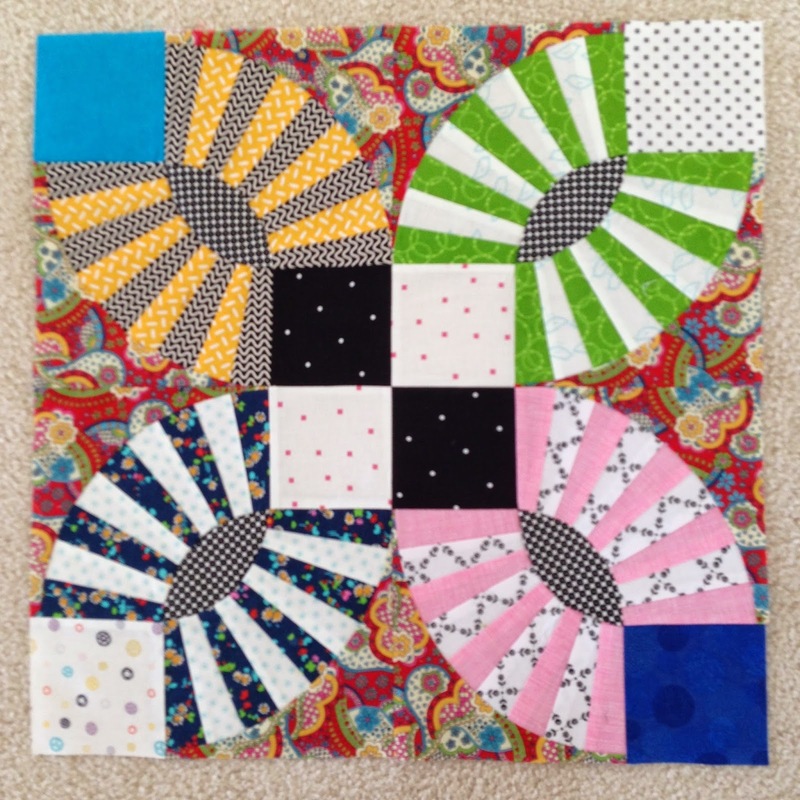 Since I'm making 16 Metro Scope blocks, I paired up 32 pieces of my Persimmon fabric for the outer ring and corner squares. This is my first block. Before I cut all the pieces of a pattern I make one inspiration block to make sure all the sizes and instructions are correct. This block is 19 inches, a big block. But it went together perfectly. You need to carefully read and follow the pattern directions, but there's nothing tricky about this block, it was a piece of cake. So I've picked up several quilt along followers, (what's a parade without some parade watchers?) and some quilt along joiners. Here are the folks I've heard from that are joining, Lisa and Nicole have heard from some quilters too, let me know if you would like to be added to our list. 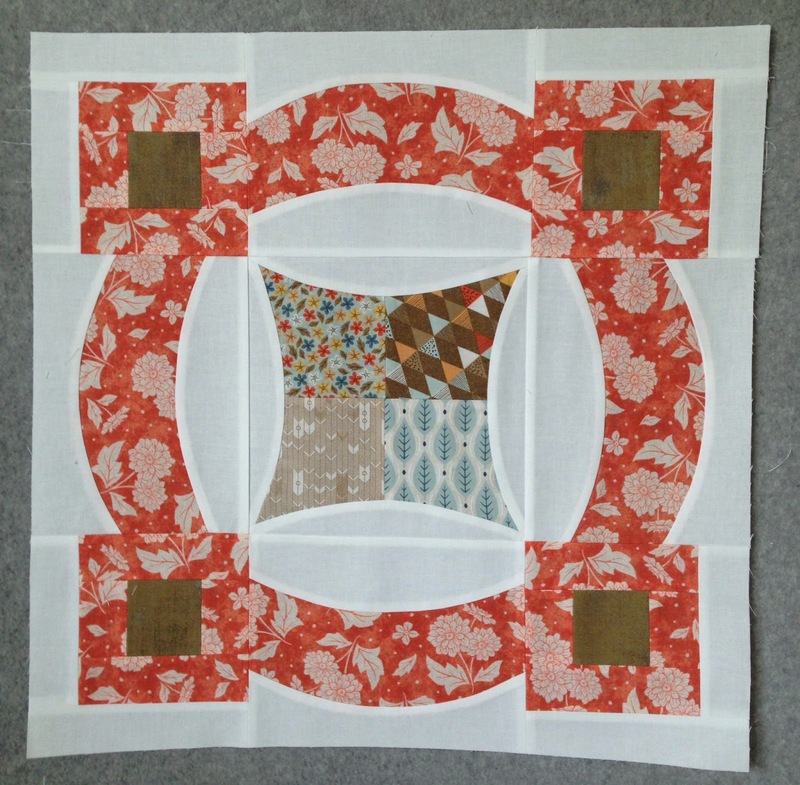 Vicky at LA Quilter is starting her project next weekend. Kristen at Meadowbrook is going to start Metro Lattice as soon as her ruler arrives. Anytime I can blog about a finish on a Monday it's a Red Letter Day. But in this case it really is Red Letter Day. 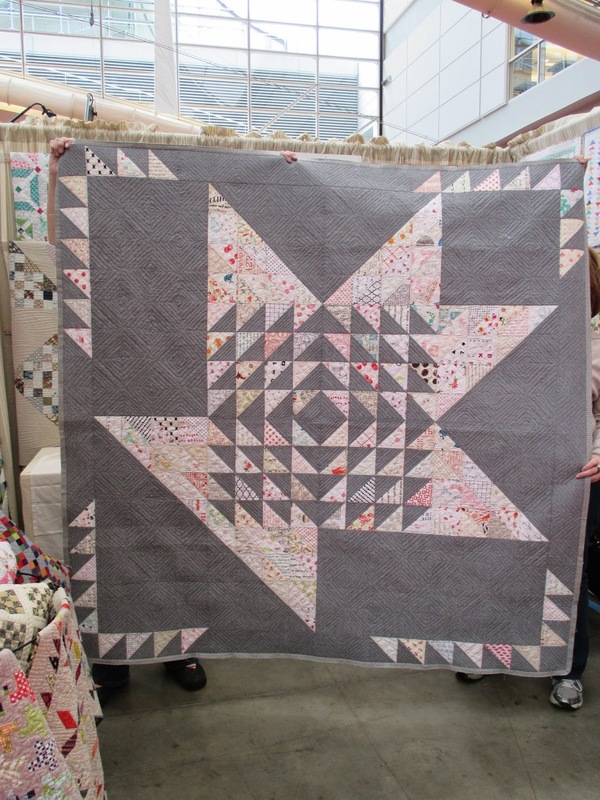 The pattern is Red Letter Day by Camille Roskelley for Thimble Blossoms. The fabric is Fruit Stand by Jane Farnham for Camelot Cottons. This quilt finished at 67" x 67"
It has approximately 657 pieces. The colors in this line aren't quite as garish as they look in the picture, they're summer colors but softer, very appealing and soothing to the eye. This project was the perfect change of pace, no curves. I was wanting a little curve break after finishing Gypsy Kisses and before starting on my QCR project. I think RLD is a wonderful summer project. 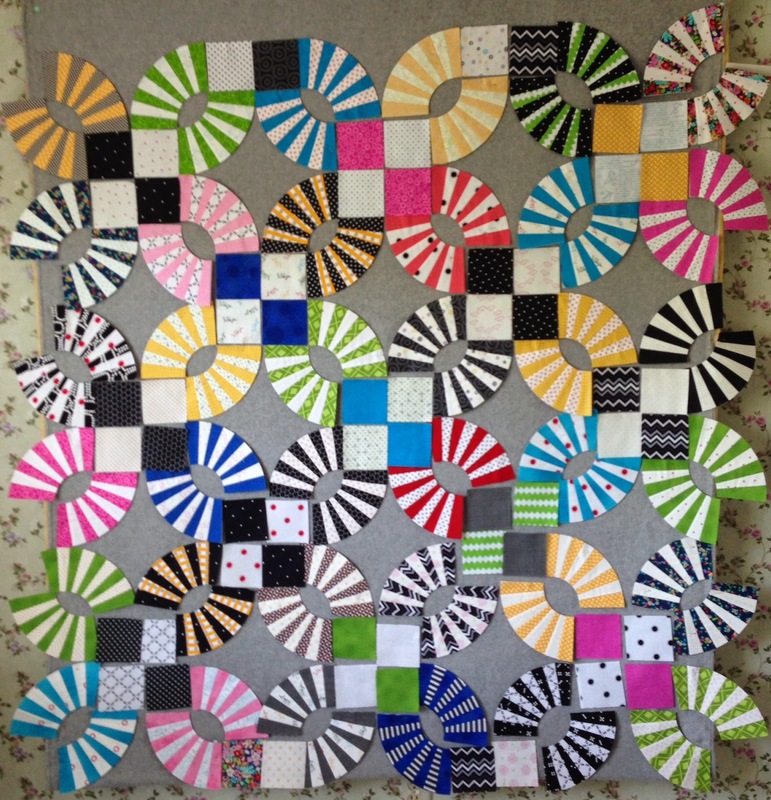 Grab 16 fat quarters and a 1/2 yard of your favorite colors, throw in some background fabric and you're good to go. After seeing all the RLD pictures on Instagram I could not help myself, I had to make my own. 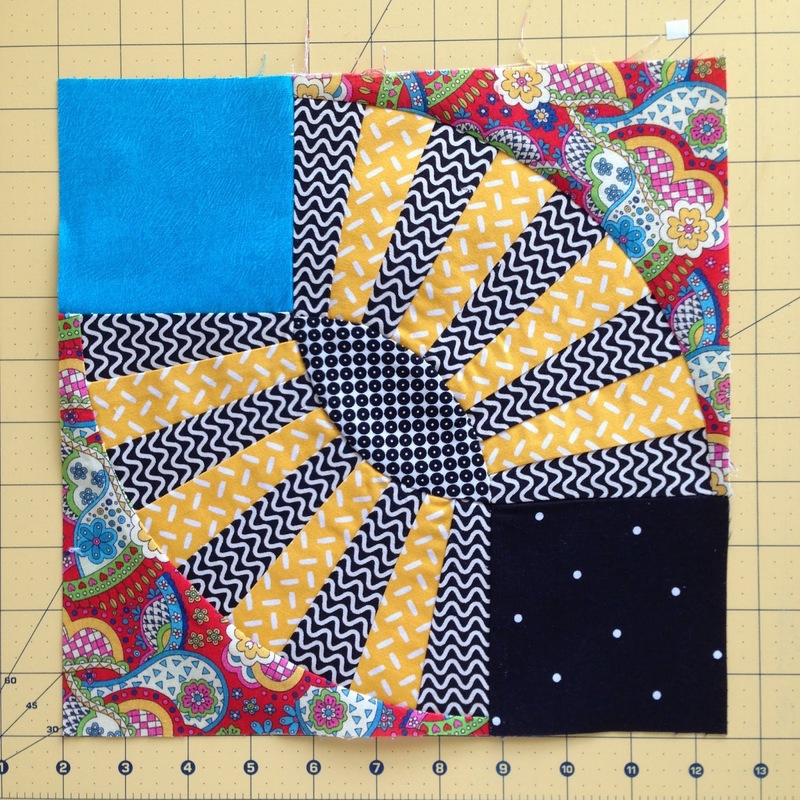 Today is the start of my Quick Curve Ruler Sew-along, are you joining me? I've decided to make Metro Scope, it was a tough call but I really like this block, it's different. For my fabric I'm going to use Persimmon by BasicGrey. Lisa, at Stashmaster, and Nicole, at Sisters Choice, are sewing along, and each working on a pattern different from mine. A couple other friends are "thinking about it". Drop me a note if you're joining in. If you don't have a blog share your pictures and progress with any of us. 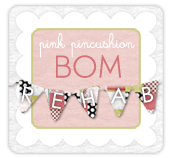 If you do have a blog drop me a note so I can link to it and follow your progress. We don't have any rules, but if we get a few joiners we'll have a parade, how about Labor Day? My version of Gypsy Kisses is done. One year of planning and only two weeks of sewing. I maybe stressed over this project a little more than was necessary. Here's a closeup of the corner background seams I mentioned last time. Some patterns use one piece of fabric for that section. The entire time I was collecting fabric and coming up with my plan for this quilt I was worried about the background fabric being too bold and dominating the quilt. Choosing bright, bold, and large print fabric for my focus blocks did the job of taming my background fabric perfectly. It finished at 73" x 75"
It has approximately 913 pieces. The background fabric is by Liberty of London. 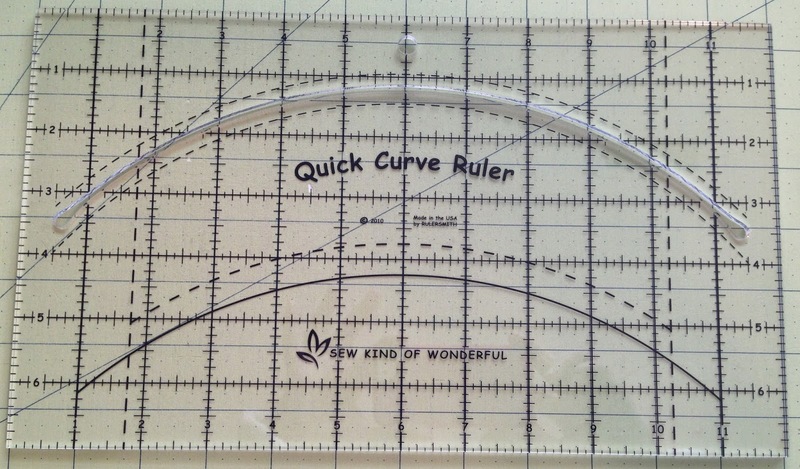 I plan to start my Quick Curve Ruler/Sew Kind of Wonderful project on Monday, I hope you've selected your pattern and fabric and are planning to sew along with me. I think I'll squeeze in a quick no curves project before then. With all the Red Letter Day blocks on instagram I'm thinking it will be a Red Letter Weekend at my house. 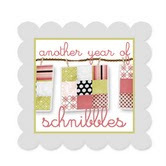 The pattern Red Letter Day is by Camille Roskelley for thimble blossoms and available here. 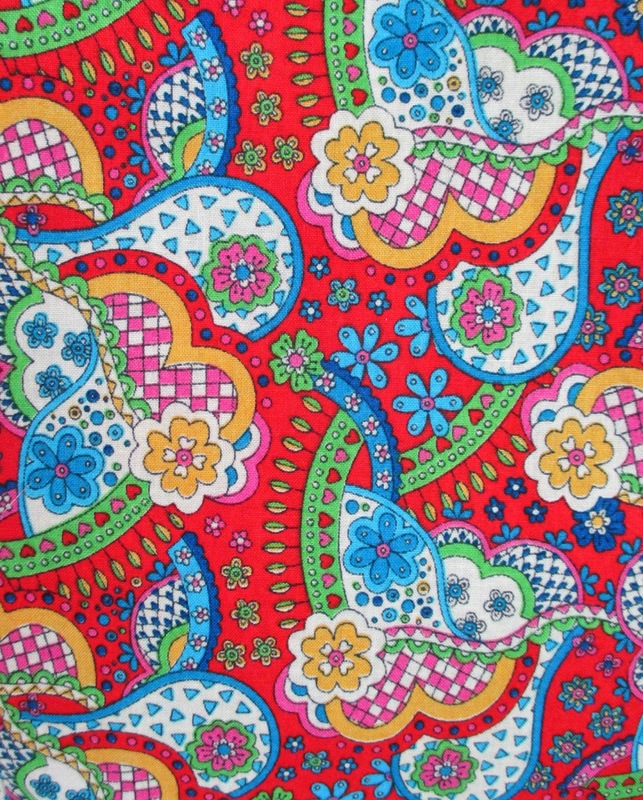 So here is my inspiration for my pickle dish quilt, Gypsy Kisses, from the Material Obsession 2 book. And here is the actual pattern that I'm using to piece my project, Pickle Dish. It's from the Kaffe Fassett Quilt Romane Book. 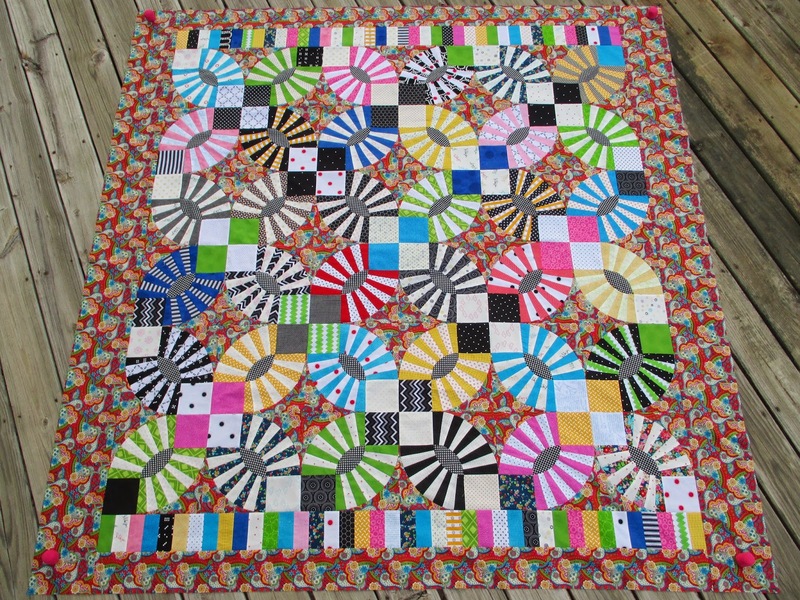 The Gypsy Kisses finished quilt was too big for my liking, and the eyes and outside corners are hand appliquéd. The Kaffe Fassett finished size was perfect and all the parts are machine pieced, no hand appliqué. I pieced all the arcs first. Then sewed the eyes and the background fabric to each arc. My background centers are made up of 4 pieces, you may prefer those sections to be one unit, if so go with a different template or pattern. I think you would need to pay better attention to your fabric if you go with the method that I'm using, where the centers are pieced. My fabric looks OK, I don't even think the seams are noticeable, other fabric may not look as nice, or maybe that kind of thing doesn't even bother you at all. I'm going to add a border more like the Gypsy Kisses border. 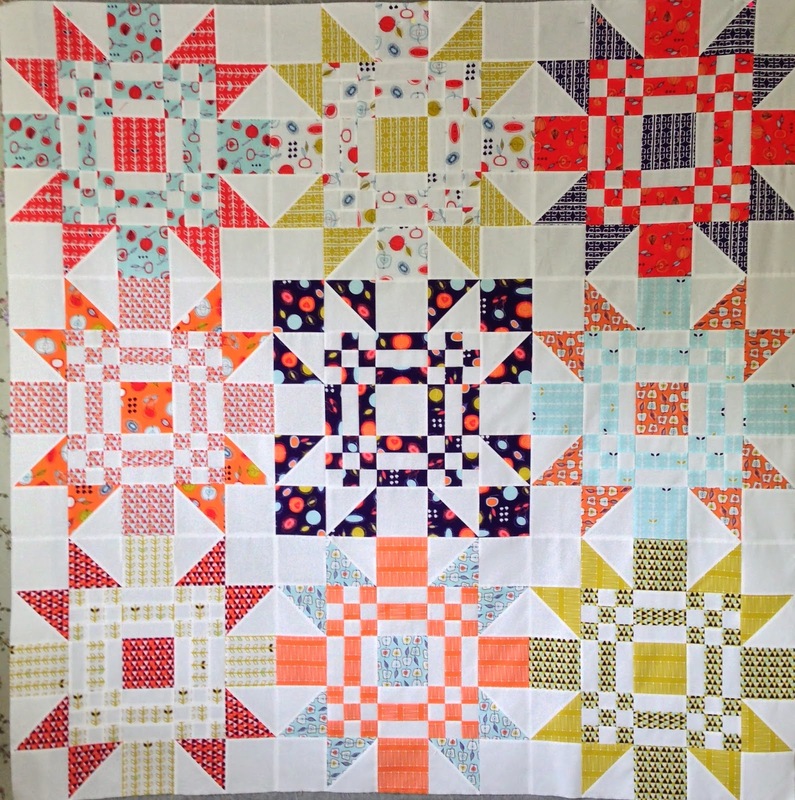 There are several methods and tools from which to choose when making a pickle dish quilt. I hope you'll find one that suits you and add this quilt to your To Do list, it's nothing but fun. 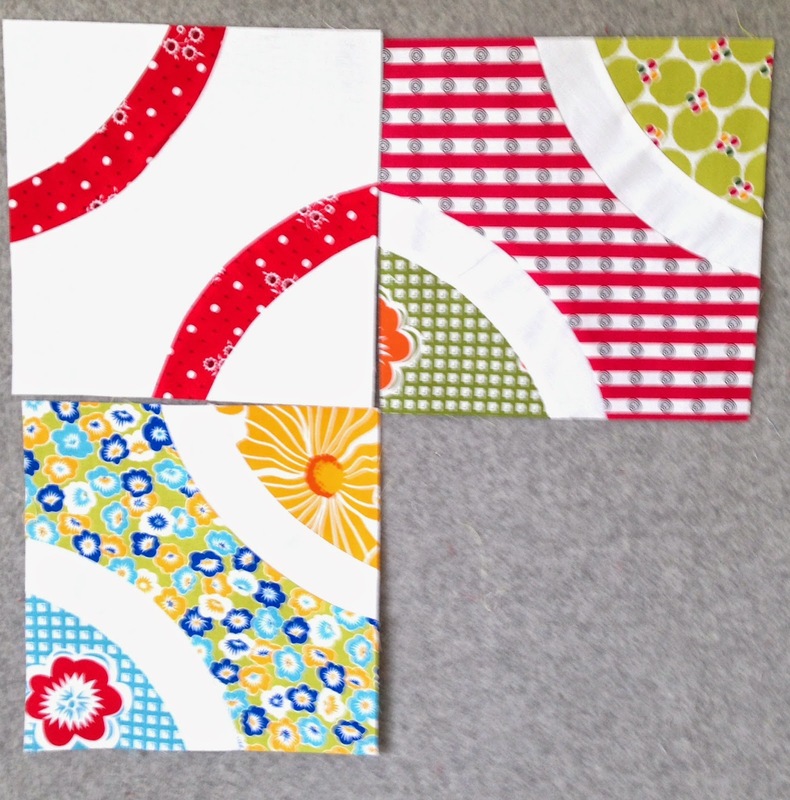 Earlier this spring I was the lucky winner of these Quick Curve Ruler blocks from Jenny Pedigo at Sew Kind of Wonderful. 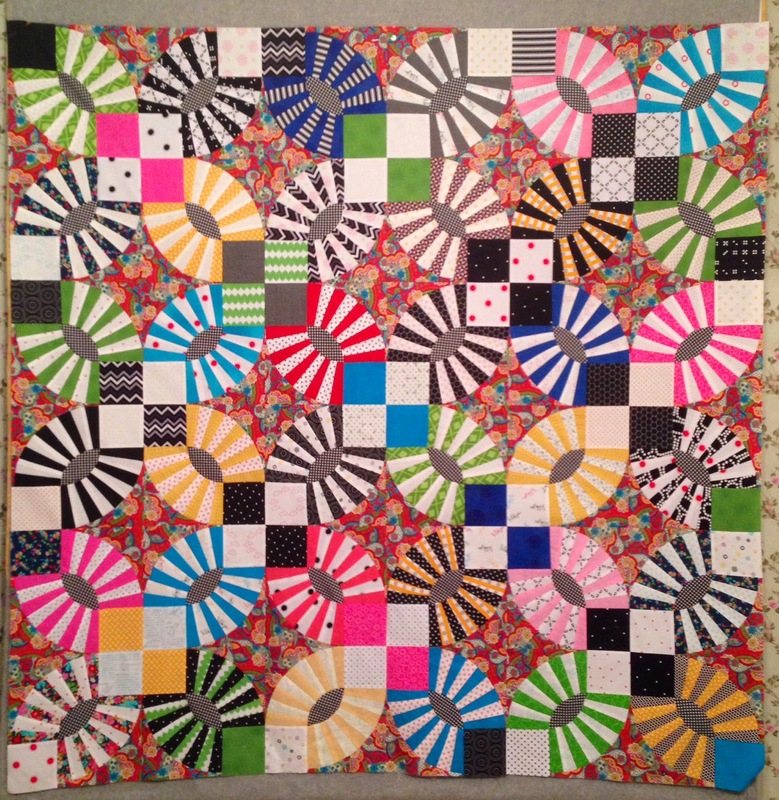 Thirty happy and perfectly pieced nine inch blocks! Jenny made the blocks then decided she didn't want them, that was my lucky day. 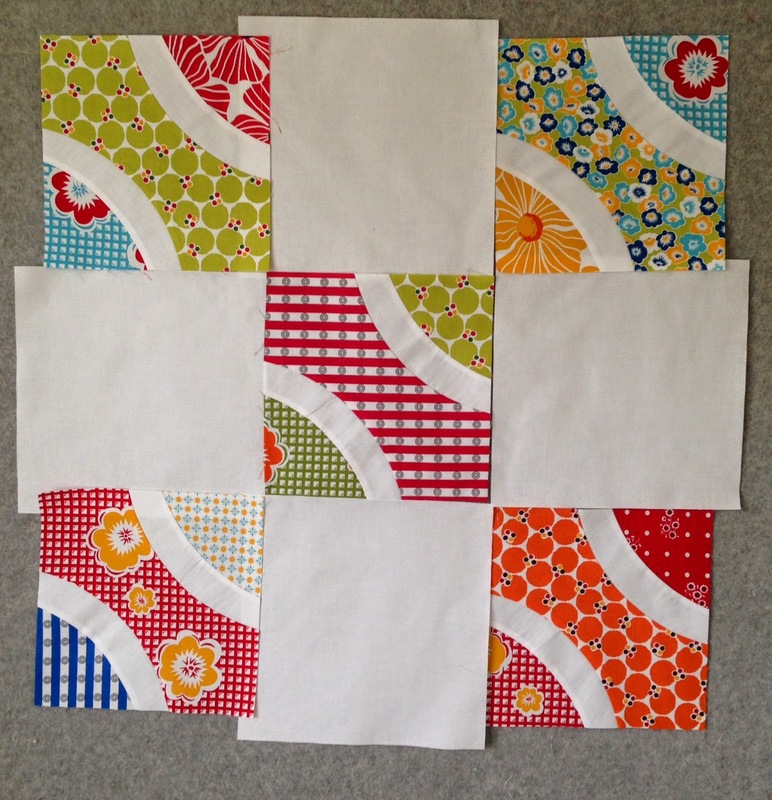 I thought it would be fun if I added some blocks pieced by me to the blocks pieced by Jenny. I thought maybe the same block, only in reverse fabric order, would be a nice change of pace. But after I made my block I decided I didn't like my idea. 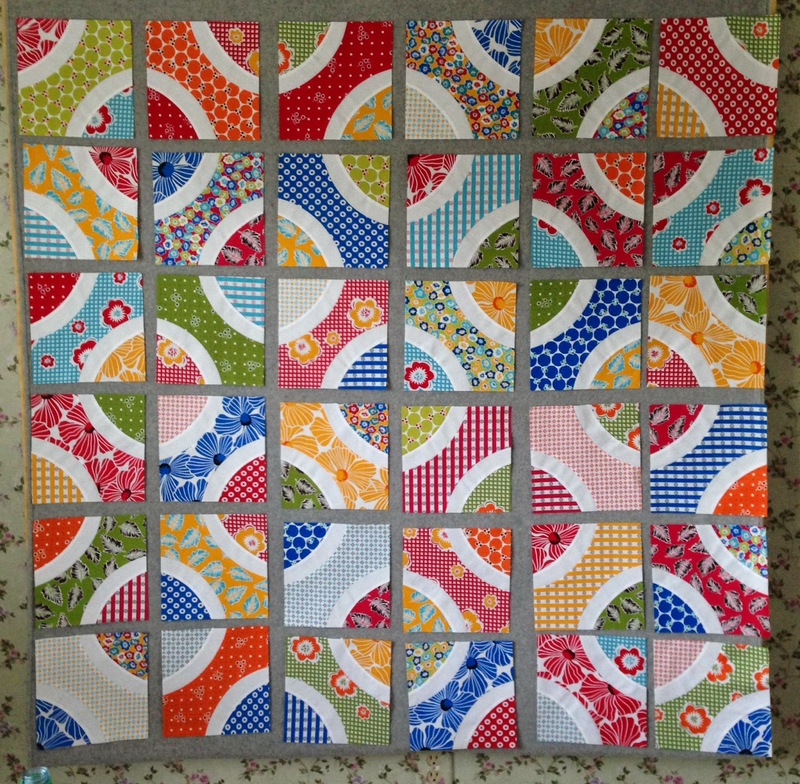 Then I thought maybe just some plain blocks in-between the pieced blocks would be nice, I didn't like that idea either. but decided I liked this one better. Then I decided some sashing, the same width as the curved pieced blocks, would add just the right touch. A friend suggested the cornerstones for the circle intersections only, which was a great idea, I think it creates a new block, made up of 4 curved blocks. And now it's done, and I love it! It finished at 65" x 65"
The fabric is Treasures and Tidbits by Piece O'Cake Designs. It has approximately 245 pieces. Jenny made these blocks from a layer cake. She's going to be adding the instructions to piece these blocks to her blog in July as a freebie! So pick out a layer cake and get ready to piece your own Roundabout. I"ll be sure to let you know when Jenny has posted the block directions.